at what energy do I stop tracking particles? In geant3 this balance was addressed by imposing an absolute cutoff in energy: particles are stopped when this energy is reached, and the remaining energy is dumped at that point. This leads to large inaccuracies in location: there is a particle type, momentum and material dependance of the distance travelled by particles. A 10 KeV cutoff in lead is very different than a 10 KeV cutoff in a scintillator. if secondaries can travel more than that distance, they are produced. otherwise there is discrete energy loss. The location is now correct. Onlt one value of threshold is needed for all materials. 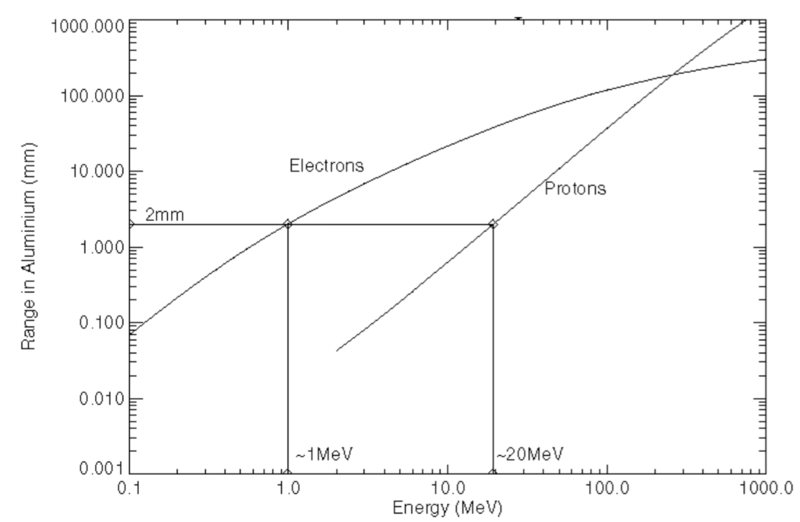 pcut=10mm: only secondary electrons of ~5 Mev or higher will be produced. pcut=1mm: only secondary electrons of ~700 ev or higher will be produced. pcut=0.1mm: only secondary electrons of ~150 ev or higher will be produced. Depending on the e.m. physics list precision, pth=0.1mm could yield same resulsts as pcut=1mm: if the threshold is smaller than free range path of a particle, lowering won’t affect results. It is possible and actually recommended to set up production cuts for certain passive volumes to speed up simulation. Particles that will never make it to sensitive volumes do not need to be created, for example in shielding materials. -PRODUCTIONCUTFORVOLUMES="outerMount, taggerInnerShield, outerFlange, outerMount, main-cone, 100"
will set a 10cm cut for the volumes listed.